Chandigarh and Amritsar with temperatures of 9 and 10.6 degrees Celsius were on Saturday colder than the ‘Queens of Hills’– Shimla including some other northern plains of Ludhiana, Patiala in Punjab and Hisar in Haryana. "This is a normal phenomenon and occurs mainly due to the settling of inversion layer on mountaintops," said the director of Shimla's Meteorological Office Manmohan Singh. Chandigarh and the Sikh holy city of Amritsar in Punjab were on Saturday colder than the ‘Queen of Hills’ – Shimla. 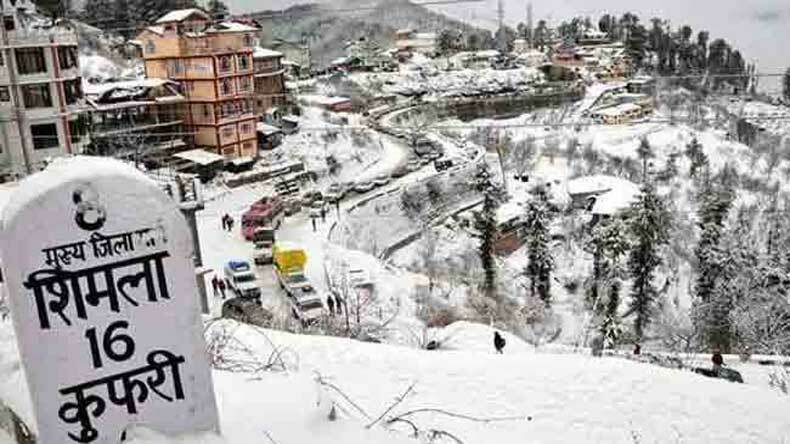 Likewise, many places in the plains of north India like Ludhiana, Patiala, and Hisar were colder than hilly tourist destinations Shimla and Dharamsala in Himachal Pradesh, the Met Office here said. Chandigarh, located in the Shivalik foothills, recorded a minimum temperature at 9 degrees Celsius, while Shimla, located around 7,000 feet above sea level, saw a low of 10.6 degrees, a rise of four degrees from Friday, and Dharamsala 7 degrees Celsius. Punjab’s cities Amritsar and Ludhiana and Hissar in Haryana recorded a low of 6.8 degrees, 9.2 and 6.8 degrees Celsius, respectively. Delhi’s minimum temperature settled at 8.6 degrees Celsius — two notches lower than in Shimla. Hill stations across Himachal Pradesh have been experiencing long hours of sunny weather for the past few days and the temperatures in most places have risen by three-four degrees above the season’s average. The maximum temperature in Shimla is likely to hover around 18 degrees Celsius. Manmohan Singh, director of Shimla’s Meteorological Office, told IANS that Shimla and Dharamsala saw high night temperature compared to the plains. “This is a normal phenomenon and occurs mainly due to the settling of inversion layer on mountaintops,” he said. Generally, the air becomes cooler as elevation increases. The day temperature in most of the plains is abnormally high compared to Shimla. The warm airlifted from the plains overlaid the existing cold air in the mountains. Singh said since Shimla and Dharamsala were near the plains, the impact of inversion layer was more there. The weatherman said this trend would continue in the hills till the western disturbances — storm systems originating from the Caspian Sea and moving across the Afghanistan-Pakistan region — are active in the region. “There is no chance of rain in the entire region till November 30,” Singh added.